Piloto trasero derecho RENAULT KADJAR Intens, Año: 2015. Referencia : 265508898R, Observaciones: Interior. Código interno: 1061983. Wir können es überprüfen. Nous pouvons le vérifier. 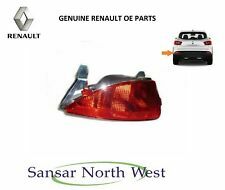 RENAULT KADJAR DRIVER OFF SIDE REAR INNER TAILGATE LIGHT 265508898R. Piloto trasero izquierdo RENAULT KADJAR Intens, Año: 2015. Referencia : 265550151R, Observaciones: Interior. Código interno: 1061982. Wir können es überprüfen. Nous pouvons le vérifier. Faro derecho RENAULT KADJAR Zen, Año: 2015. Referencia : 260107249R, Observaciones: Dos cogidas superiores reparadas con lupa. Nós podemos verificar isso. Wir können es überprüfen. Nous pouvons le vérifier. RENAULT KADJAR Piloto td. Pieza Piloto td. Año: 15 16 17 18.  Pieza defectuosa. Ninguna devolución será aceptada sin previa autorización, excepto Combustible Diesel. Faro antiniebla derecho RENAULT KADJAR Experience, Año: 2016. Referencia : 261503971R, Observaciones: Un cojida partida. Nós podemos verificar isso. Wir können es überprüfen. Nous pouvons le vérifier. Luz central de freno RENAULT KADJAR Zen, Año: 2015. Referencia : 265908549R. No se realizan envíos internacionales en territorio insular. Nous pouvons le vérifier. Nosotros podemos comprobarlo. Referencia : 265508898R, Observaciones: 90061333. Nós podemos verificar isso. Wir können es überprüfen. Nous pouvons le vérifier. Referencia : 265550151R, Observaciones: 265550151r con portalamparas. Nós podemos verificar isso. Wir können es überprüfen. Nous pouvons le vérifier. RENAULT KADJAR Piloto ti. Pieza Piloto ti. Año: 15 16.  Pieza defectuosa. Ninguna devolución será aceptada sin previa autorización, excepto Combustible Diesel. RENAULT KADJAR PASSENGER SIDE REAR LIGHT 265552478R. Genuine Renault Kadjar. Renault Part Number: 265801896R. RENAULT RRP £96.16. REAR FOG LAMP. O/S - RIGHT - (DRIVERS SIDE IN THE UK ). Genuine Renault Kadjar. Renault Part Number: 265858137R. RENAULT RRP £96.16. REAR FOG LAMP. N/S - LEFT - (PASSENGER SIDE IN THE UK ). For Sale is an O/S Drivers Right Rear Taillight Tail Light. Part Number:265508898R. Removed from a 2016 RENAULT KADJAR 5 Door Hatchback. KADJAR 2015 -2019 Mk1 Right Inner. Car Colour White. Speed 6 Speed Automatic. • RENAULT KADJAR A PARTIR DE 06/2015. • En acier Inox poli. Support technique. Le kit comprend . Renault Kadjar. We have full access to all Renault Main dealer systems to match part numbers and assist you with any query you may have. RIGHT REAR LAMP (outer - on body of car). Right outer rear lamp only. PART NUMBER IS 265508701R. Cash on collection is also accepted. Part Number: 265550151R. Removed from a 2016 RENAULT KADJAR 5 Door Hatchback. KADJAR 2015 -2018 Mk1 Left Inner. Car Colour White. Trim SIGNATURE NAV DCI. Drive Side RHD. Drive Type Fwd. Style Hatchback. 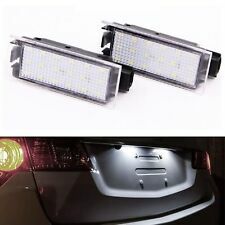 Original Renault Kadjar Rückleuchte außen rechts. Rückleuchte Rücklicht. Original Renault Kadjar Bj.2015-18 bis Modelpflege. außen rechts (Beifahrerseite). gebraucht, LED´s (geprüft), mit Lampenträger. 2 portalampade specifici per fari RENAULT KADJAR. - Potenza : 80W. - Temperatura: 6000K ( bianco ghiaccio). - Tipo connettore: H7. Rilasciamo regolare ricevuta fiscale e su richiesta è possibile avere la fattura. Part Number: 265552478R. Removed from a 2016 RENAULT KADJAR 5 Door Hatchback. KADJAR 2015 -2018 Mk1 Left Outer. Car Colour White. Trim SIGNATURE NAV DCI. Drive Side RHD. Drive Type Fwd. Style Hatchback. RENAULT KADJAR HEADLIGHT LED CONTROL MODULE ECU BALLAST. 2016 MK1 Renault Kadjar Rear Tail Light Lamp RH OS Driver Side. Part Number - 265508898R. There is some age related marks and scratches (see images) Please make sure part is correct before purchasing. We try to describe our parts as honestly as we can, however please also see our images in case we have missed anything. Any questions please ask. International buyers please contact us for price and availability of postage to your location. Removed from below vehicle -. UMBRAL DE ACERO INOXIDABLE CROMO DE TRONCO PARA RENAULT KADJAR DESDE 06/2015. • RENAULT KADJAR DESDE 06/2015. • Acero inoxidable pulido. Numéro de référence OE/OEM PARECHOC ARRIERE. Numéro de référence OE/OEM PARE-CHOC. Tipo connettore: H21W BAY9S. - 2 lampade H21W BAY9S 24 LED CANBUS. - Led presenti su ogni lampada 24. RENAULT KADJAR HEADLIGHT LEVEL ADJUSTMENT SWITCH 251635477R. Renault Kadjar dal 06/2015 in poi. Completo di correttore elettrico d'assetto, senza centralina-LED, con lampadine. Proiettore anteriore destro (lato passeggero). BRT - Bartolini. Servizio di Reso. 2 portalampade specifici per fari RENAUKT KADJAR. - Potenza : 80W. - Temperatura: 6000K ( bianco ghiaccio). - Tipo connettore: H7. Rilasciamo regolare ricevuta fiscale e su richiesta è possibile avere la fattura. RENAULT KADJAR PASSENGER NEAR SIDE REAR INNER TAILGATE LIGHT 265550151R. 2015-on Renault Kadjar rear driver side tail light p/n265508898R. Removed from 2015 Renault Kadjar 1.5 DCi 110 Diesel, 6 speed manual, White Pearl. We will ALWAYS resolve your issue but would ask you to call us in order to do so. Renault Kadjar. We have full access to all Renault Main dealer systems to match part numbers and assist you with any query you may have. LEFT REAR LAMP (outer - on body of car). Left outer rear lamp only. Título - Piloto trasero Renault Kadjar lado derecho 265508701R 2017. 2016 MK1 Renault Kadjar Rear Tail Light Lamp LH NS Passenger Side. Part Number - 265 550 151 R. There is some age related marks (see images) Please make sure part is correct before purchasing. We try to describe our parts as honestly as we can, however please also see our images in case we have missed anything. Any questions please ask. International buyers please contact us for price and availability of postage to your location. Removed from below vehicle -. Renault Kadjar. GENUINE RENAULT PART. We have full access to all Renault Main dealer systems to match part numbers and assist you with any query you may have. LEFT REAR LAMP (Inner - on tailgate of car). Renault Kadjar. GENUINE RENAULT PART. We have full access to all Renault Main dealer systems to match part numbers and assist you with any query you may have. RIGHT REAR LAMP (Inner - on tailgate of car). Removed from a 2016 ( Kadjar 2015 On range) Renault Kadjar Signature Nav dCi 110 1.5 Diesel Automatic 5 Door Hatchback. Renault Kadjar Near/Passenger/Left Hand Side Boot Tailgate Lamp Light. Kadjar 2015 On. KADJAR 2015 -2017 Mk1 Left Inner. Item Specifics:2015-2017 - MK1 - 5 DOOR - HATCHBACK - LEFT INNER TAILLIGHT. KADJAR 2015 -2019 Mk1. Item Specifics:2015-2017 - MK1 - 5 DOOR - HATCHBACK - NUMBER PLATE LAMP. Part:Number Plate Lamp. This Number Plate Lamp was removed from a2017 car and has been fully inspected.